Costa Rica is beloved by people from just about any walk of life – nature lovers, thrill seekers, wellness travelers – but its offerings for educators and students are truly beyond compare. 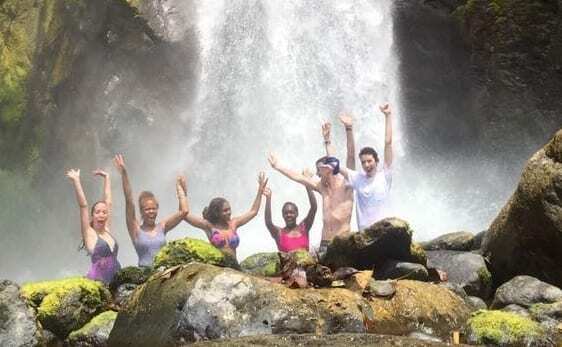 A Costa Rica school trip provides access to the outstanding biodiversity, breathtaking scenery and vibrant culture that all visitors enjoy, while also connecting with the country’s long-standing commitment to education and welcoming attitude toward young people. 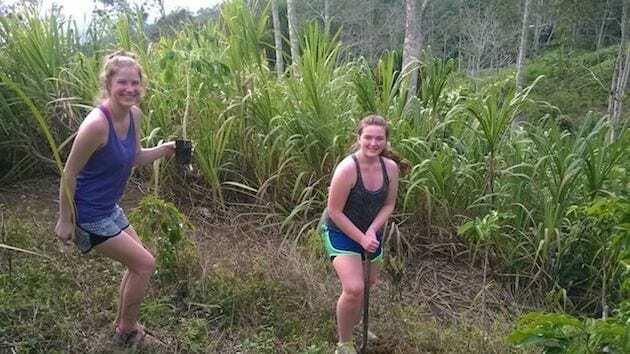 From outdoors explorations and adventures, to hands-on experiential learning in the sciences, to intensive language learning, to in-depth community service experiences that provide valuable cultural capital and perspective, the country offers something for every student group no matter if it’s a Costa Rica high school trip or middle school trip. Here are a few advantages to planning a school trip to Costa Rica, and a few factors to keep in mind. Costa Rican Spanish is known for being clear and easy to understand. 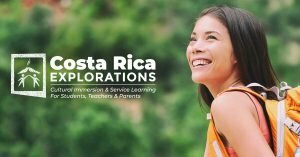 What’s more, Costa Ricans themselves are famously friendly to foreign visitors who are just taking their first steps toward learning Spanish. Costa Ricans are very patient. 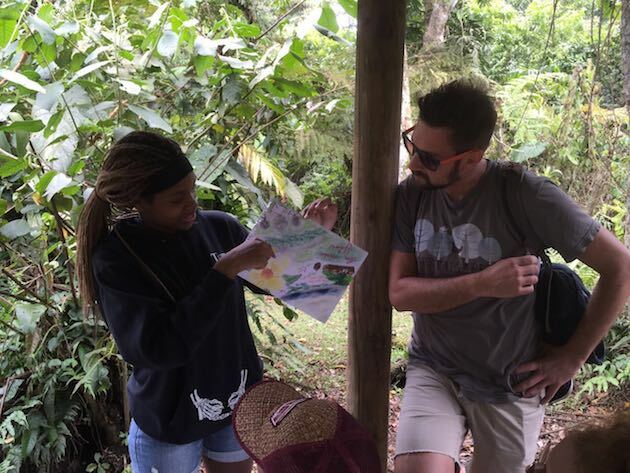 They’ll encourage students to give it a try, teach them some classic Costa Rican phrases or dichos, and make them feel comfortable – an essential first step toward any successful language learning experience. From your group’s dedicated guide and bus driver who greets your group at the airport, to servers in restaurants, to the construction worker leading your service project, to the host mom who welcomes you at the end of a long day – and, of course, the experienced language teachers who await if you choose formal instruction – Spanish will be a treasured part of every day for your students in Costa Rica. At the same time, teachers and staff who are not learning Spanish will be relieved to find that English is spoken by many Costa Ricans around the country; as during any foreign travel experience, there are times when a phrasebook will come in handy, but Costa Ricans’ enthusiasm for English and the importance of the language in the country’s tourism and service industries makes it much easier for non-Spanish speakers to get by. Educators looking for homestays as part of their Costa Rican school trip can add an unforgettable element to their students’ journey. 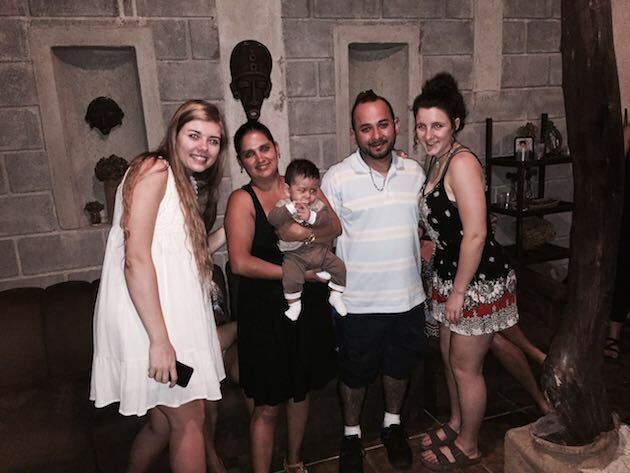 Costa Ricans tend to be very family-oriented, and a family that takes international students into their home generally “adopt” the students as full, valued and cared-for members of the family during their time in the country, creating friendships that can last a lifetime. Depending on the program structure and schedule and your preferences, students can participate in family life and events, learn about Costa Rican traditions, gain perspective by learning about a different worldview, prepare and sample classic Costa Rican foods, and more. And, of course, there’s absolutely no language-learning experience on earth that can match total immersion in a fun and friendly Costa Rican home. Learn more about our Costa Rica Homestay experiences for student groups. Because of Costa Rica’s commitment to conservation and peace, as well as its renowned biodiversity, it is a fertile breeding ground for nonprofit organizations and other initiatives seeking to make a difference in the country, or to pilot innovations that can then be applied in other developing nations or ecosystems. This means that the country offers a wide variety of options for educators and students seeking Costa Rica service trip and educational learning opportunities. When it comes to wildlife and conservation, students can assist in wildlife rehabilitation centers, assist in environmental research such as carrying out species inventories, help coastal communities protect sea turtles, conduct beach cleanups, and much more. 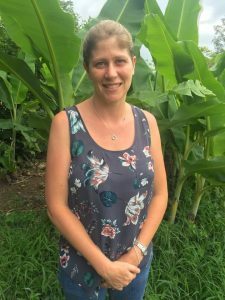 On the educational side, schools in many parts of Costa Rica are used to hosting international volunteers, and many are open to volunteer English teaching assistants or activity leaders. If community service is your priority, a number of Costa Rican school trips and tours specialize in those experiences, but most trips can accommodate some type of community outreach. Ask for more information on these possibilities. Learn more about our Costa Rica Community Service opportunities and partners, and our Service Learning Trip program. Your biology students can see up close – or, depending on the species of course, even interact with – the animals they’ve read about in their textbooks or glimpsed behind bars in a zoo, and they can get up close and person with ancient trees and spectacular plants. Your history or political science students can see first-hand what Costa Rica’s historic decision to abolish its armed forces has meant for its public policy and human development. And language students, as mentioned above, will find an unmatched environment for learning. Costa Rica’s long-standing commitment to education has created cutting-edge academic and research institutions, including universities with exchange programs and other offerings for international students. Advanced students can access a variety of cutting-edge resources to deepen their understanding. And in San José, the nation’s capital, a number of museum offerings can give students of all ages a different perspective on the environmental, scientific and cultural lessons they’ve gleaned through their travels in Costa Rica. This incredible international, educational, cross-cultural, and service experience teaches students the skills needed to be global leaders. Students gain confidence and open their minds to new perspectives of the world. Seeds are planted, so that these high school and middle school students continue in their future to strive to make the world a better place. Options for Costa Rican school trips and tours truly run the gamut, so it’s important to do your homework. Some trips focus more on sight-seeing, with a few features designed with young people in mind; others focus much more heavily on hands-on education at every turn. Other Costa Rican school trips, like our student programs, center on community service, cross-cultural integration, and language learning. 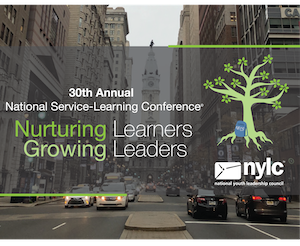 It’s important to reach out in advance to find out the itinerary details, when to visit, philosophy of the host organization, and priorities for student learning. A trip to Costa Rica will provide your students with sights, sounds, friendships and hands-on experiences they will remember for a lifetime.